Kensal Green was recorded as Kingisholte in 1255 and means the King's Wood (King and Old English holt, 'a wood' ) but just who the royal owner was is unknown. The Green is recorded in 1550 and lies just south of the station; it includes the Kensal Green Cemetery. 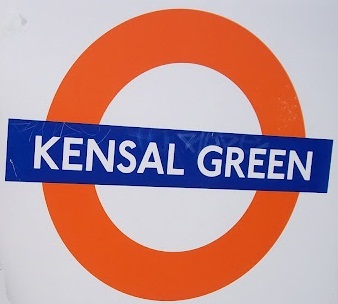 The station was opened as KENSAL GREEN on 1 October 1916.